I am willing to go out on a limb with this one, but I have come to the conclusion that smartphones are quickly becoming a requirement for paralegals. Whether we like it or not, we live in a world of invisible fences and constant communication (as one of my collegues constantly reminds me). Several weeks ago, I finally broke down and purchased the Samsung Blackjack smart phone (I highly recommend this phone to anyone interested in a slim smart phone). Until that point, I had a long standing line-in-the-sand against smart phones. I felt that cell phones should be used for talking and computers should be used for email. This is of course, not to say that I am technophobic or against consolidation of devices. I like Pizza, and I like ice cream. But I like them much more on their own, rather than mixed together. I also felt that the idea of being in constant contact via e-mail, IM, etc., seemed a bit overwhelming. The point that finally forced me to take the plunge was client contact. I have always believed that paralegals are great client ambassadors. In fact, I have always considered client contact a perk of the profession (well, most of the time at least). One aspect of email that I have noticed over the years is how much people honestly appreciate quick email responses. I routinely receive thank you emails from clients who comment on how much they appreciate a quick email response. I believe that it is becoming an expectation of paralegals, that they will be in near constant contact via email. 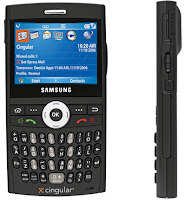 I have even heard of several large law firms purchasing their paralegals smartphones or blackberry devices. To be a upright human being is to from a make of openness to the world, an skill to trust unsure things beyond your own restrain, that can take you to be shattered in hugely exceptional circumstances on which you were not to blame. That says something uncommonly impressive about the prerequisite of the ethical autobiography: that it is based on a corporation in the unpredictable and on a willingness to be exposed; it's based on being more like a spy than like a sparkler, something somewhat tenuous, but whose acutely item handsomeness is inseparable from that fragility.